Back in the 1970s I watched a film called the Stone Tape which had a major impact on my concepts of paranormal activity. The Stone Tape is a television play directed by Peter Sasdy and starring Michael Bryant, Jane Asher, Michael Bates and Iain Cuthbertson. It was broadcast by the BBC. Combining aspects of science fiction and horror, the story concerns a team of scientists who move into their new research facility, a renovated Victorian mansion that has a reputation for being haunted. Investigating, they learn that the haunting is a recording of a past event made by the stone in one of the rooms of the house – the “stone tape” of the play’s title. Believing that this may be the key to the development of a new recording medium, they throw all their expertise and high-tech equipment into learning how the stone tape preserves its recording. However, during the process of their investigations, they try several experiments to eradicate the “haunted recording” only to reveal a darker, more malevolent layer. Researchers speculate that the paranormal recording is laid down during times of high emotional and traumatic stress such as murder, grief or an important scene in someone’s life. This energy can be stored for an unspecified amount of time in the surrounding building materials or the environment and then the replay is triggered by a number of variant factors such as the anniversary of the event, particular weather conditions, or the phase of the moon etc. Witnesses of this paranormal replay may experience these events differently and according to their own level of psychic ability, stress or emotional levels or even brainwaves. The replay can take a form of a full manifestation or even sounds such as voices or footsteps and may even be repeated like an ongoing loop. The images that are seen in this type of event may walk through walls or even appear to be several feet above or below ground level such as the famous case that took place in York in 1953 when a farmer in England witnessed a legion of Roman soldiers marching through the cellar that he was working on at the time. On 20th January 2007 some members of SOuL Searchers attended a ghost tour at the Redbank Range Tunnel (Mushroom Tunnel) in Picton, NSW. This tunnel was built in the 1860s to take the railway from Picton to Mittagong. When a new line was built it was left idle until the 2nd world war when it was used to store ammunition. After the war ended it was used to grow mushrooms, hence its nickname ‘The Mushroom Tunnel’ In 1916 a middle aged woman named Emily Bollard took a shortcut through the tunnel; unfortunately for Emily, halfway through the tunnel she was killed instantly and her body carried on the front of the train into Picton. In the years that followed, there had been many sightings of a ghostly apparition walking through the tunnel. 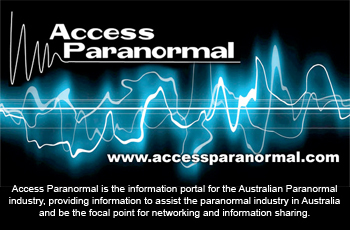 The tunnel is considered to be one of the most haunted places in Australia. Our investigation team had experienced some pretty scary happenings during our visit and had seen some spectacular light anomalies and orbs with the naked eye. A perfect example of the Stone Tape theory, was also witnessed during the night, a white ghostly figure assumedly of Emily was seen repeatedly walking up to the halfway point of the tunnel. Although skeptics maintain that there is a major problem with the Stone tape theory and believe that there is no satisfactory explanation as to how or why such a recording could take place. A large proportion of traditional centuries-old hauntings can fall under the banner of residual: the lady in grey who ‘still is seen walking the path’, the headless horseman that appears at midnight or the apparition that appears on the anniversary of its death. The concept of ‘stone tape theory’ is a neat way of explaining these phenomena. For many such individuals the theory is a valid one; if one has a belief that there is a connection between psychic events that becomes embedded in the environment then stone tape theory is a natural progression and requires no scientific justification. ‘The Stone Tape’ – a BBC television play written by Nigel Kneale, first aired on 25th December 1972, Directed by Peter Sasdy and starring Michael Bryant and Jane Asher.